Following his controversial suspension by President Muhammadu Buhari on January 15, Onnoghen finally tendered his notice of retirement on Thursday night, hours after NJC ruled him morally-indicted and advised the president to compulsorily retire him. 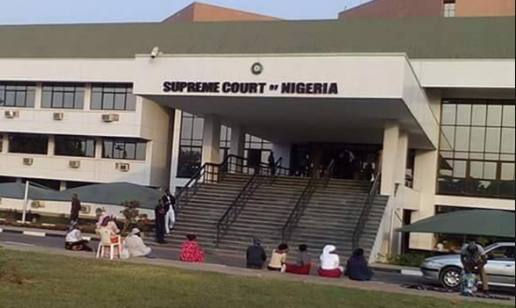 His lead counsel in the legal battles arising from his travails, Chief Adegboyega Awomolo, a senior advocate, disclosed on Saturday night that Onnoghen decided to voluntarily retire, due to his conviction that only NJC could sanction him. 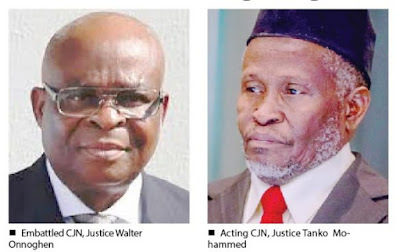 If Onnoghen had not resigned his appointment as the CJN, he would have stayed on as a justice of the apex court, thereby creating an awkward situation for his junior, Mohammed Tanko, who has taken charge in acting capacity since Onnoghen was suspended. Tanko was also recommended by NJC under the leadership of Justice Umaru Abdullahi, a retired president of the Court of Appeal, to Buhari as fit and proper to take full charge as substantive CJN. Meanwhile, the move in Kogi State by Governor Yahaya Bello to sack the state Chief Judge, Justice Nasir Ajana, over alleged misdemeanor, is putting a lot of pressure on NJC, Tribune can disclose. Dino of the PDP went ahead to defeat the All Progressives Congress to win re-election to the senate. If he didn’t before giving vent to the parliamentary resolution, the move would offend the decision of the Supreme Court in the case of the sacked former Chief Judge of Kwara State, Justice Raliat Elelu-Habeeb, who was reinstated by the apex court after she was fired by the then Governor.